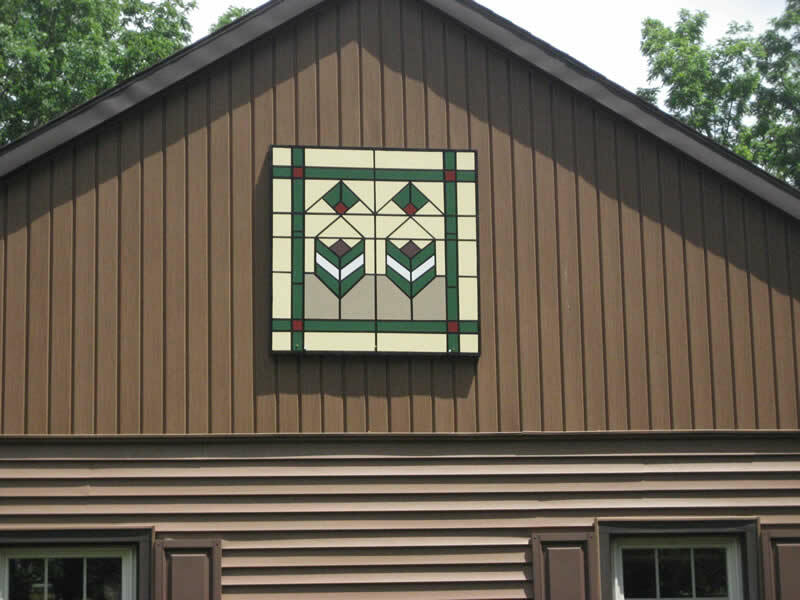 Our quilt block is a replica of a stained glass window in Loy’s home in Roaring Spring, Pennsylvania. Many of the homes built in the early 1900’s had a stained glass window incorporated in the house décor. Loy and Linda both claim Roaring Spring as our hometown and were high school sweethearts. The window design evokes fond memories of parents and hometown experiences.